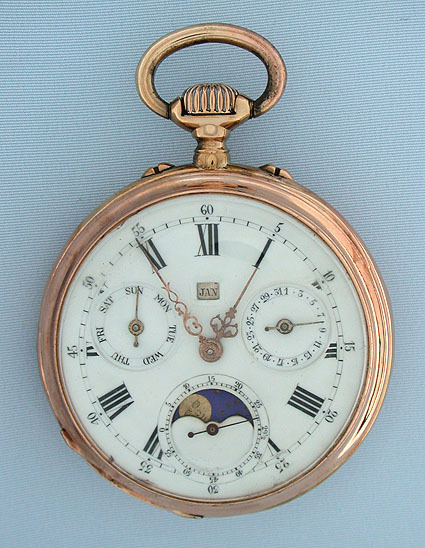 Good Swiss 18K gold triple calendar moonphase antique pocket watch circa 1890. 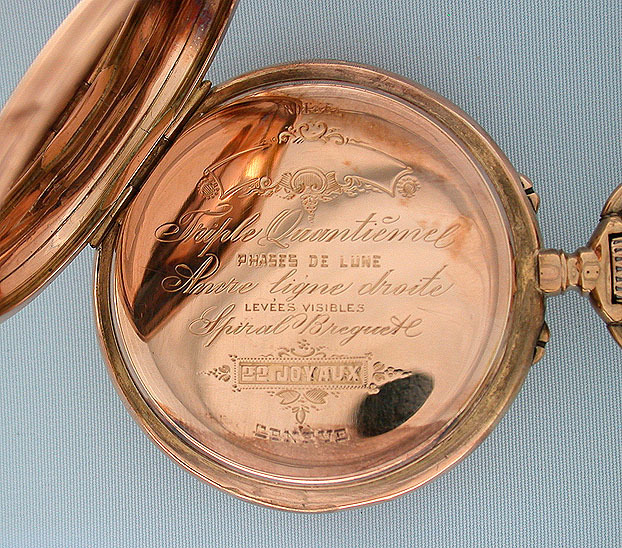 Fully restored white enamel dial with indications for day and date and apertures for month and phases of the moon. 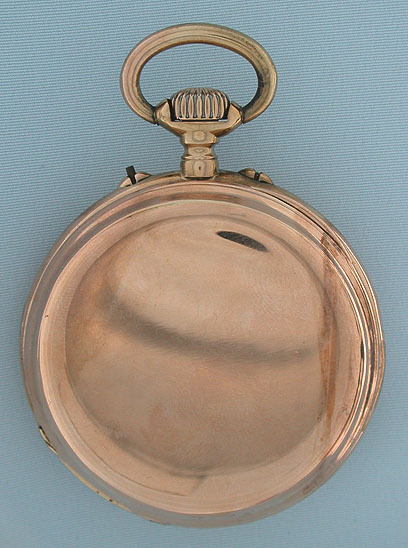 Plain polish case with movement details engraved on the dust cover. 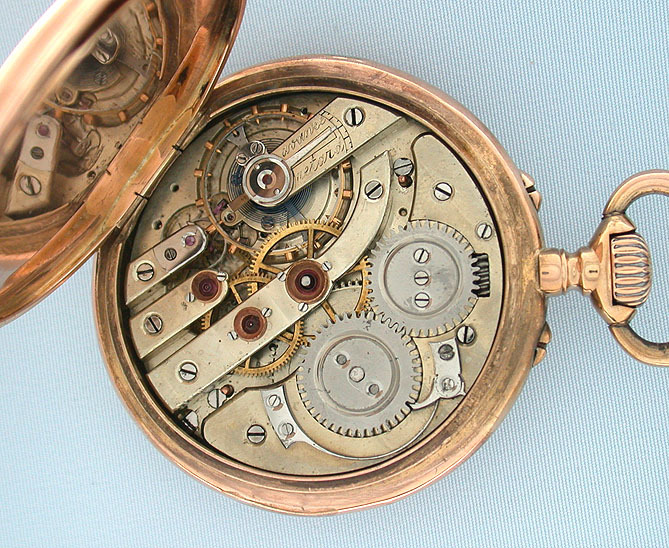 Nickel 18 jewel movement with some of the jewels in screwed settings.